The Subaru Forester is one of the best crossover vehicles. It comes with ample space for passengers and luggage, all wheel drive, fuel economy and great visibility. 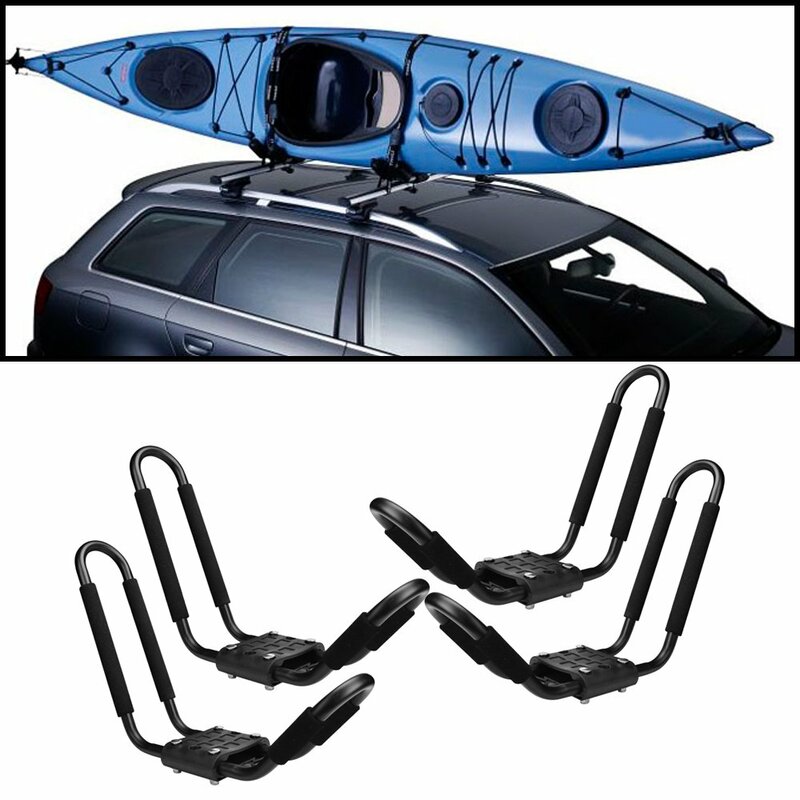 For kayaking lovers, this vehicle comes with roof racks consisting of side bars. This is a great vehicle to attach craft carriers on. It will need to be paired with excellent cross bars and craft carriers in order to become functional in this way. 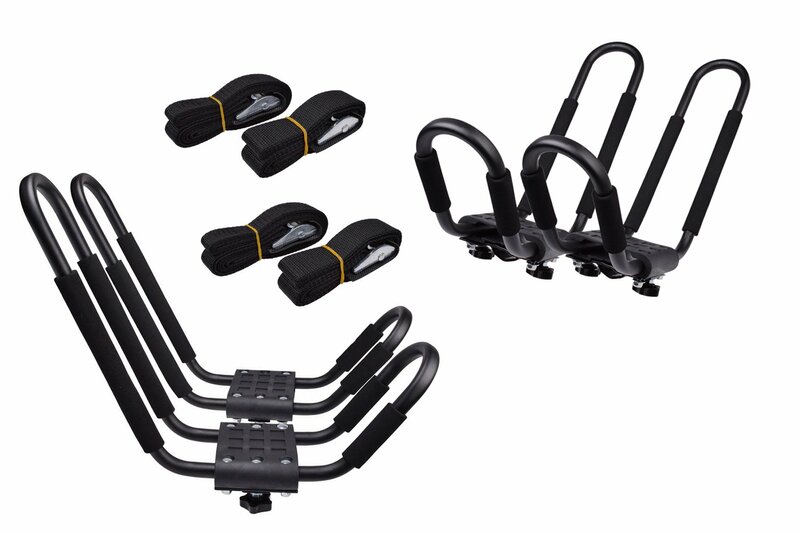 Thus as a Subaru Forester owner, you will need to make a choice of carrier as well as purchase cross bars along with this. There are excellent brands of cross bars, though you can have factory made ones. 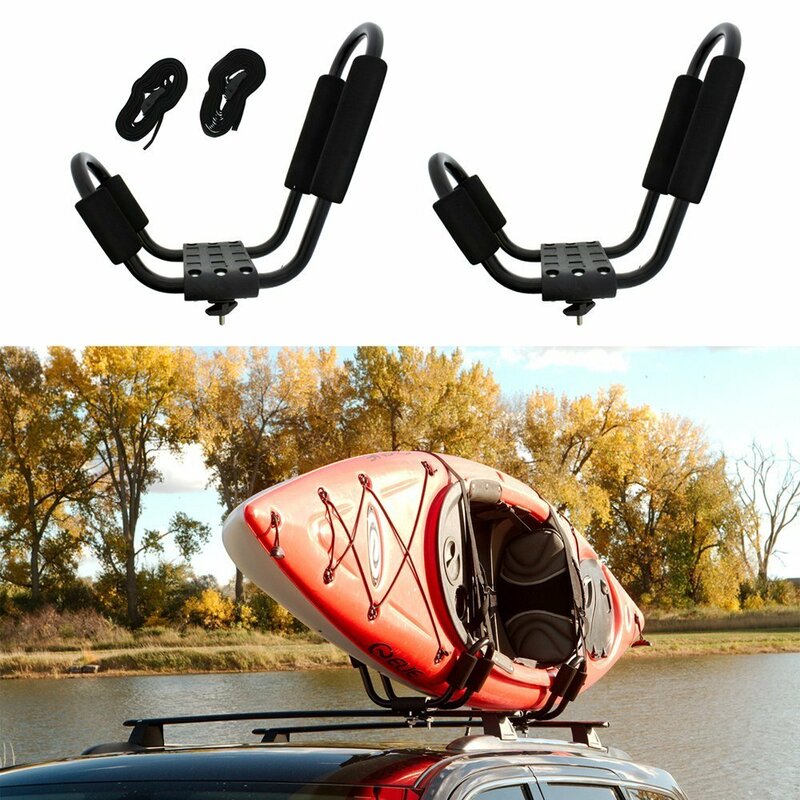 Most people prefer to purchase them from recognized brands such as Yakima and Thule. However, there are cheaper alternatives that you can check out on Amazon.com or eBay. You may attach the cross bars yourself or have a professional do it for you. Most of the brands are easy to attach without help. Just make sure that they are fitted securely as you will be attaching your craft carrier onto them. 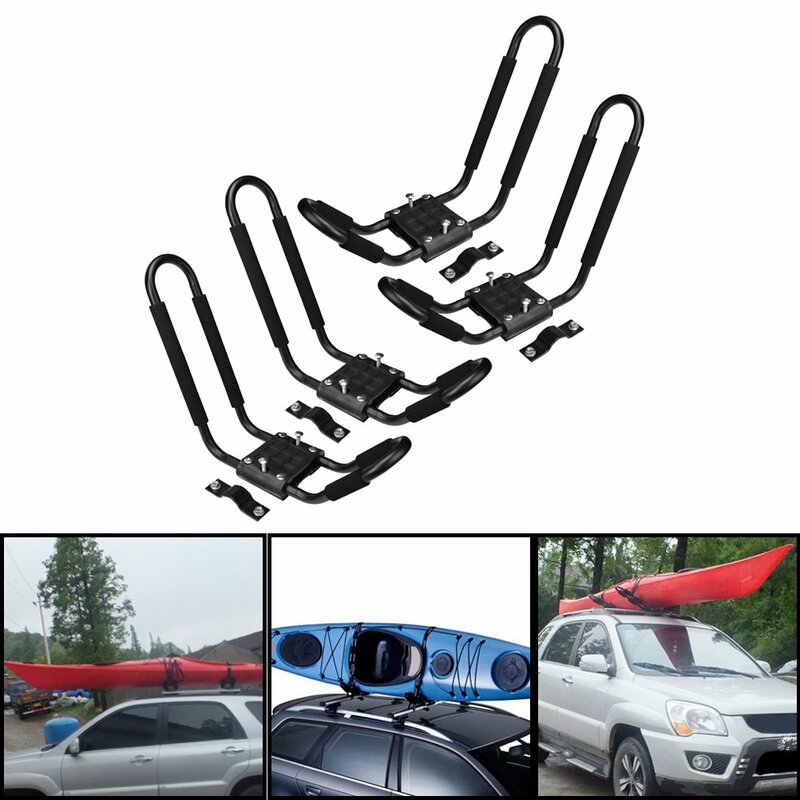 There are many kayak carriers in the market and the prices can be very cheap, average or really expensive. The name brands are quite pricey though they guarantee quality of the purchase. However for those on a budget, Amazon.com offers quite a number of quality carriers. A few of them are discussed below. If you are looking for something of great quality and that will last long, this is one of the best brands. The hardware is rust resistant and the J-bars are made from high strength powder coated steel. It works well with universal hardware and nearly all cross bars. 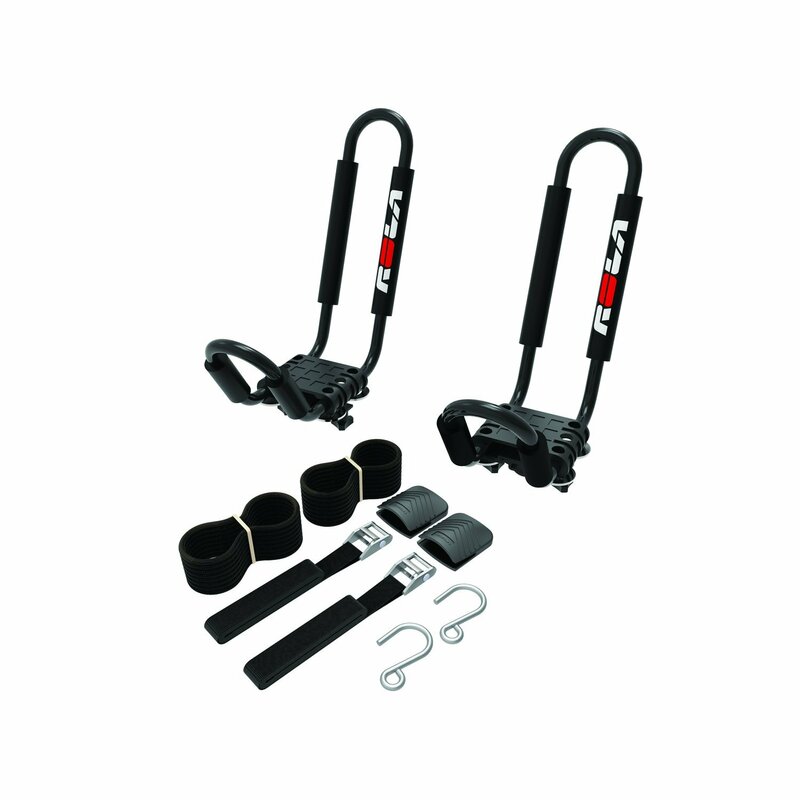 With this package you will get heavy-duty straps as well as tie-downs for your bow or stern. This carrier comes from Australia and has been tested in the outback. You can be sure that it will hold whatever the terrain you are travelling in. It is made of strong durable material and will last you for years to come. Its strong straps will not need to be replaced. They are heavy-duty and will secure your craft well. You do not require tools to attach them as they come with wing-nuts which you attach by hand. It does not fold. You will have to store it as it is or take it apart. The design of this carrier allows for easy installation and removal from the vehicle. It is made from rust-resistant steel. It is strong and has a wide mouthed frame which enables you to load your craft easily and unload it as well. The padding on the frame keeps your craft from scratching as you transport it. It is made of strong materials that do not wear out with changing seasons. It is easy to install and to take down so that you do not have to spend a lot of time on this. You will have to replace the straps as they are not of the best quality. This steel carrier has tubes which are 1.5 mm thick and has adjustable padding for extra strength and to protect your craft. It comes in two pairs and has 4 tie-down straps. The weight capacity is 75 pounds and the width capacity is 36 inches. They are strong and of good quality. They are quite affordable as compared to other carriers in the market. They cannot go through the car wash. You will have to take them down. The installation instructions are pretty scanty. The straps provided are not very strong and may need replacement. This is a carrier that can be mounted on all shapes of cross bars available. With a large vehicle you can mount four sets of racks. They are made of steel material with adjustable padding to protect your craft. The mounting hardware comes along with the package and it has rust resistant coating to make it last longer. The capacity is 36 inches width and 75 lbs weight. It is easy to assemble and install. It is made of very strong material and will last a long time. They have poor locking mechanism and the clamps don’t hold up. The wrench provided will need to be replaced with a proper ratchet wrench. 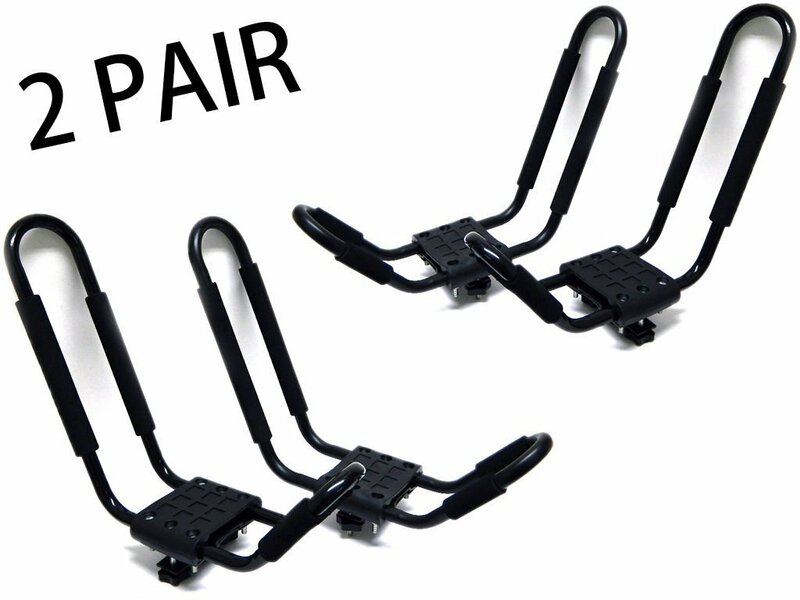 These are carriers that cater specifically for flat or square cross bars. They come in two pairs and have four 8 inch straps. They can be mounted on bars that are no thicker than one inch and no wider than 2.5 inches. They hold up quite well on long journeys. You may have to replace all the bolts and nuts as they are made of poor quality material. The straps may not be long enough when you want to strap them under the cross bar. The hardware is not rust resistant. You may have to coat it if you intend to use the carrier near salt water. For your Subaru Forester, the ROLA carrier would be the logical choice based on its strength and endurance. It is well tested and designed to endure all seasons. It is strong and rust resistant and the straps that come with it are heavy duty. It is a little bit pricier than others but it is also long lasting.